Easter is right around the corner! 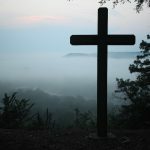 Rather than load your kids' Easter basket with candy, we've got some great and unique ideas to make this Easter egg-stra special for your little ones. 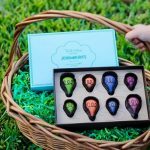 Enjoy playtime with your toddler even more this spring with a fun and personalized Easter Memory Game. Not only is it the perfect size for your child's Easter basket, you won't have to worry about cavities with this special treat from Pinhole Press. Simply choose your favorite 12 photos (family, pets, things or places). Pinhole will then print your photos on thick cards with a fun graphic background. 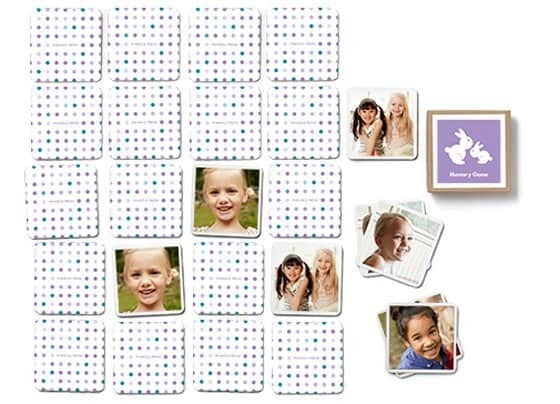 Nothing works better than a memory game to boost your child's memory muscles. 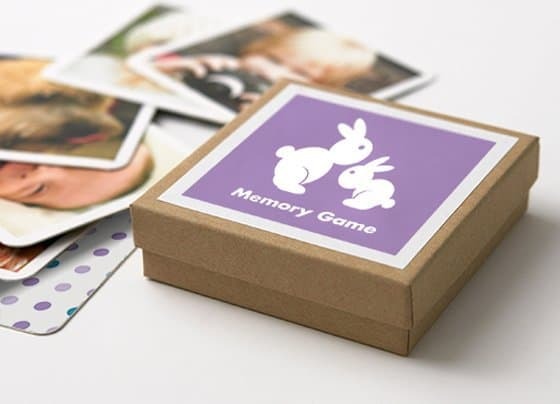 With Pinhole Press's Easter Memory Game, not only are you helping your little one improve their memory by concentrating and focusing, but you're improving brain power using your personal photos. It's the Easter gift that will continue to be used long after the chocolate is gone. 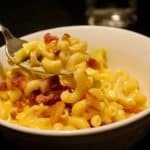 Does your little artist love putting everything in her mouth? There's finally art products that are completely non-toxic, organic, and even edible! With Wee Can Too art supplies, you don't need to worry about your little one being exposed to toxins or ingesting anything that would make him or her sick. The product line includes two paint options: one for babies and one for older children. Wee Can Too's Naturally Safe Finger Paint set is vegan, and contains no wheat, sugar, or preservatives. The beautiful colors come from blueberries, beets, spinach, pumpkin, and spinach, and is ideal for babies 6-12 months. 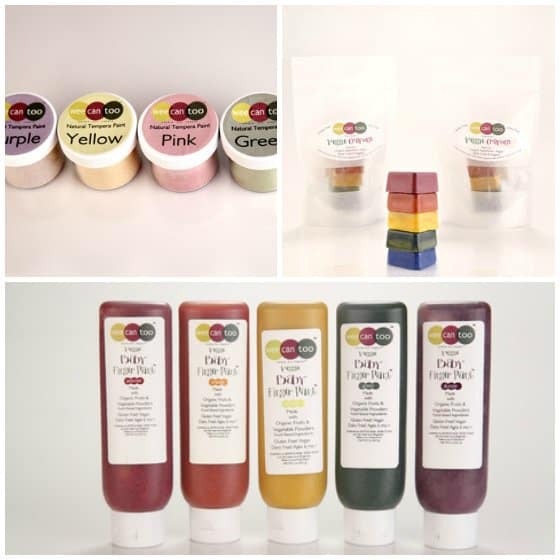 If tempera paint is your thing, Wee Can Too's Veggie Tempera Paint Set is perfect for children over 12 months old, and has a smooth consistency with vibrant colors, perfect for your little Van Gogh. Edible veggie crayons are wheat and dairy free, and come in a square shape, which is perfect for little hands just learning to grasp. Any of Wee Can Too's art products will make a colorful addition to your little one's Easter basket this year! It can be challenging finding small enough items to fill the Easter Basket without them being cheap toys that never get played with and end up in a corner of the playroom somewhere. 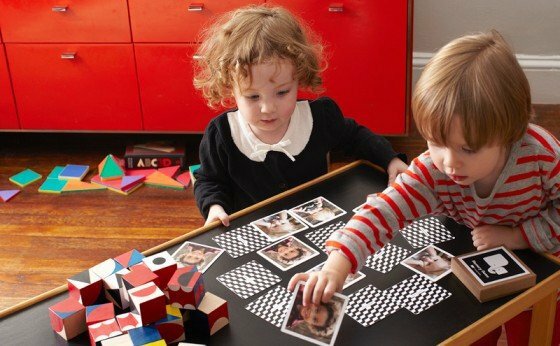 Tegu Magnetic Blocks make an amazing gift and a fun toy for any age. 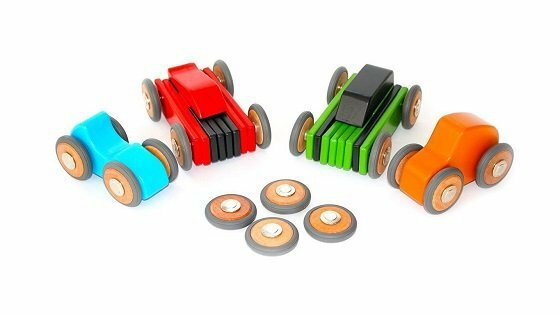 If your child already has a set, why not introduce Tegu cars as an addition to their collection. If you're new to the world of magnetic blocks by Tegu, try their new car collection. Red Dart consists of 10 blocks, 4 wheels and a styling top and can be playing with individually or decked out with other tegu pieces. If you're like most moms and have both a cell phone and a baby, you've likely discovered that babies love phones! Whether it's the buttons or just the desire to be like mom, babies always seem to go for phones and remotes. For the easter basket for the youngest of babies, grab one of these Easter-themed Piyo Piyo cell phones toys for baby's first Easter basket! The PiyoPiyo Duckling Cell Phone Toy is an easy-to-hold toy for babies as young as 3 months. The "phone" features the PiyoPiyo mascot duck inside a little egg with beads. Babies will love shaking the phone to move the little ducky around. Four buttons play different melodies and chirping sounds. Kids of all ages love to write and draw. Now writing--and their Easter basket-- can be both fun and fragrant with these brightly-colored and yummy-smelling scented pens! From strawberry, vanilla cupcake, watermelon and bubblegum (any many more), there's a scent out there that every kid will love. 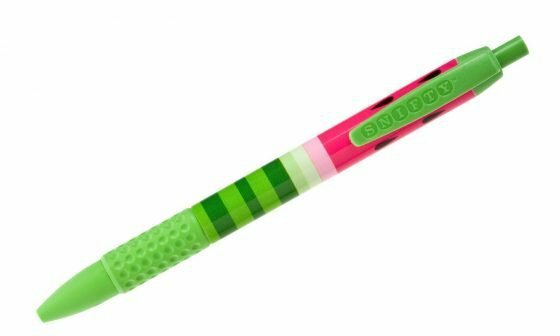 And the variety of different patterns means there's definitely a perfect pen to fit your child's unique personality! 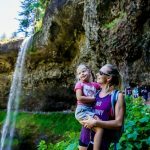 Planting seeds with your kids is not only fun--it's educational too! 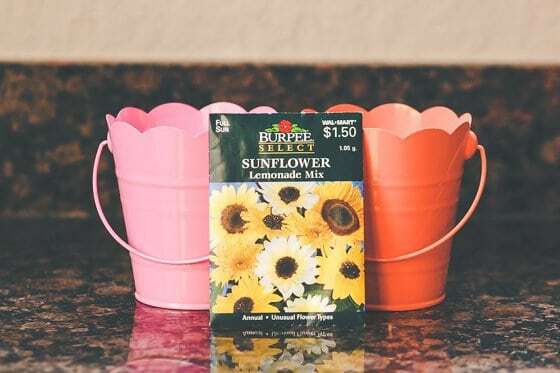 Why not include seed packets and a cute bucket or flower pot in your child's Easter basket? Then, after Easter, you can grow something together. For an added bonus, choose to grow herbs like basil, and then use the herbs to cook something together, like a yummy fresh Pesto sauce! 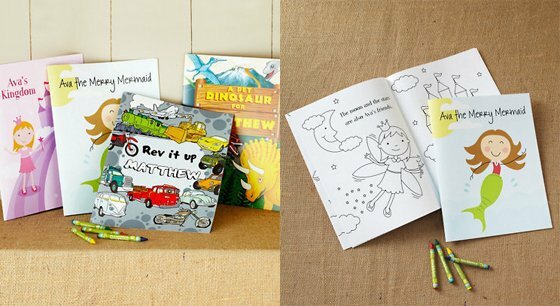 We love these Personalized Coloring Books by Garnet Hill. With 14 different designs, there is surely something that fits your child's personality. 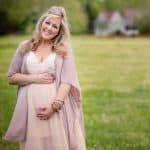 Each selection includes two 20-page books that feature your son or daughter's name on the cover and throughout the pages, along with four crayons. These would make a great Easter basket treat for any artist! Perfect for the little girl in your life, Emi-jay pony tail holders are anything but boring. The pretty pastel colors are perfect for spring and will look oh-so-pretty in your little one's Easter basket. They're made from soft and stretchy material, then hand dyed and knotted. The best part is that their unique design won't leave a dent in your little girl's hair. And, when Emi-jays not holding up that pony tail, your girls can wear them as a bracelet! These Knit Sleep Shorts and Cap-Sleeve Sleep Top pajamas by Garnet Hill are anything by ordinary. The sassy prints make these pajama tops and shorts cute enough for bed or just lounging around. 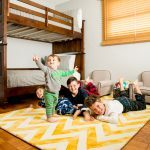 And with Garner Hill's exclusive soft blend of flame-resistant modacrylic and eco-friendly Green Cotton, we can rest easy that our little ones will be safe and comfortable. Add them to your child's Easter basket, but enjoy them all summer long. 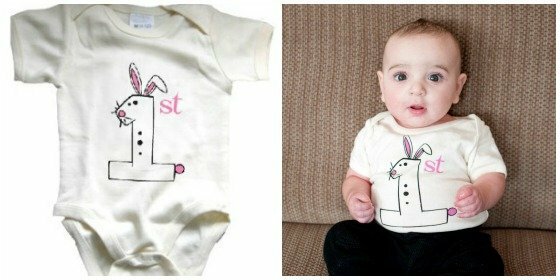 What better way to commemorate your little one's very first Easter than with this adorable onesie from Wild Dill? The onesie is super-soft and stretchy and is perfect for any baby in your life. All Wild Dill clothes are eco-friendly, so you can feel good about putting them on your baby. This natural-colored onesie is made from 100% natural certified organic cotton. It's so cute, you may not want to wait till Easter to give it to your little one! Bunnies By The Bay specializes in making quality, timeless products for little ones during their first year of life. 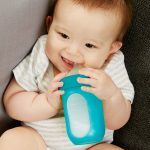 Each product they make, from layettes to blankets to adorable stuffed animal friends, is imagined and crafted thoughtfully down to the minute detail. 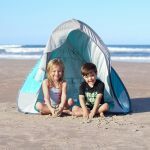 When you give your child a gift from Bunnies By The Bay, you can be sure it will be one that will be cherished for years to come and will begin its life as a family heirloom! 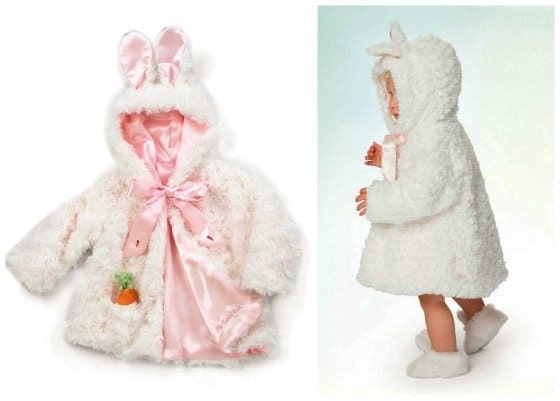 If you are looking for an absolutely precious and unforgettable gift for your little bunny this Easter, you will love The Original Cuddle Coat and matching Snugs by Bunnies By The Bay. 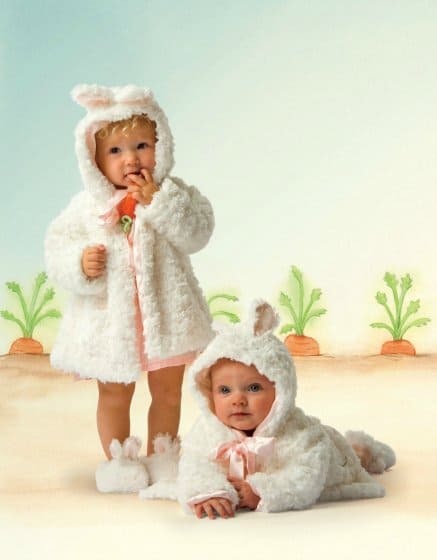 The Original Cuddle Coat, resembling a fluffy white bunny, is made from soft faux fur with silky pink lining. Your little one will love its cute little bunny ears and playful pocket carrot. To accessorize her coat, add a pair of fluffy boot-like bunny Snugs with faux fur dingle ball back ties and tall, perky bunny ears. 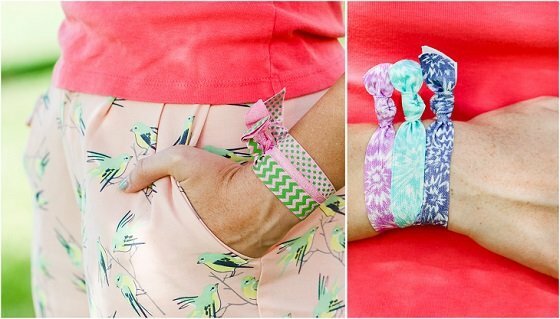 Your little girl will love finding these in her Easter basket, and will be anxious to show them off at Easter dinner! 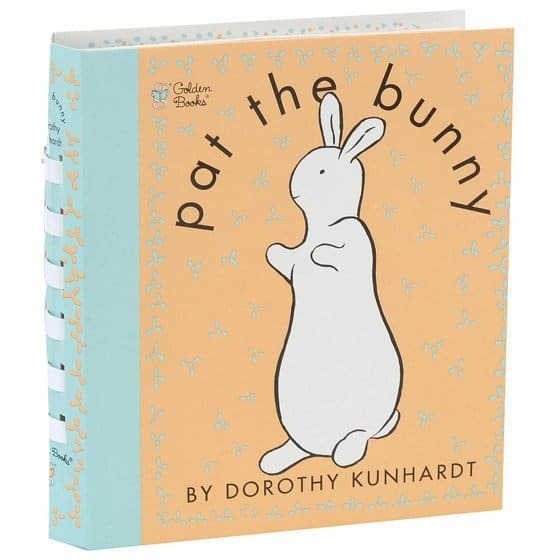 Why not gift your little one a classic from your childhood: Pat The Bunny. The perfect Easter basket addition, this book has been entertaining children for over 70 years with it's interactive touch and feel pages and adorable illustrations. Ideal for children 1-3 years old, this simple story follows Paul & Judy as they smell flowers, play peekaboo, and, of course, pat the bunny - all things that your child will also be able to do within the pages of the book. 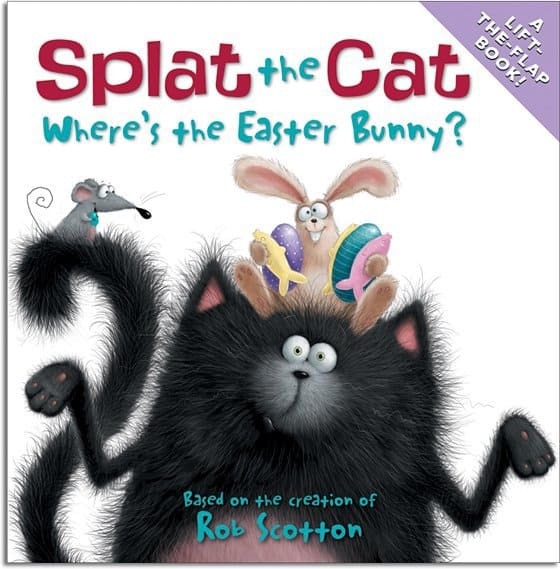 Splat the Cat: Where's the Easter Bunny?, by author and illustrator Rob Scotton, is one of several books featuring the lovable characters Splat the Cat and his little mouse friend, Seymour. This fun Easter theme book follows Splat on his quest to find the Easter Bunny so that he can tell him what he really wants for Easter: a really big Easter egg! 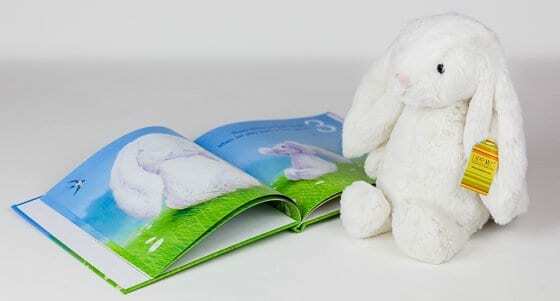 Each page features liftable flaps to add to the excitement of the story for your little one, along with hidden bunnies that they can try to find throughout. This is another perfect book to add to the basket on Easter morning! 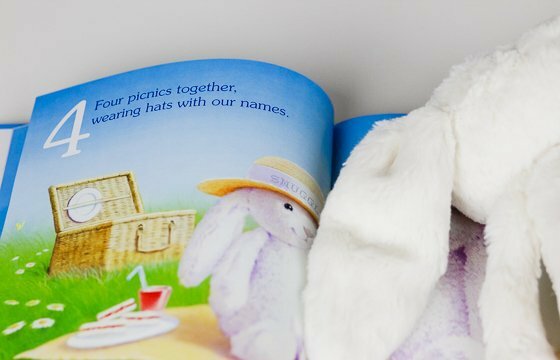 One of our favorite personalized books company, I See Me, has come out with a perfect Easter gift set that combines a plush toy and a book, all bunny themed and personalized. Your little ones will learn how to count while snuggling with their little bunny ( the softest one ever, by the way). From a hug in the morning to snuggle time in the evening, the Snuggle Bunny will be your child's favorite Easter character who counts the way that he and your toddler can have fun together. The ultimate Easter gift for preschoolers, this set will be enjoyed throughout the year. The sound box has two timer options, 23 or 45 minute increments. It has a velcro tab, meant to attach to your baby's crib. The Bubbly Bunny is huggable and super soft, sure to become a favorite snuggly toy for your child as they grow up. 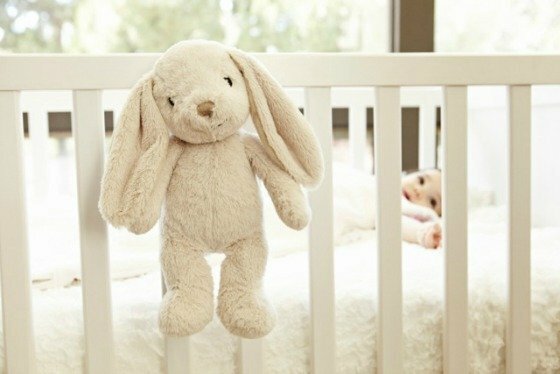 Many times, small babies fall asleep easier to the sound of "white noise", and this adorable bunny is the perfect gift for babies (and parents!) alike. 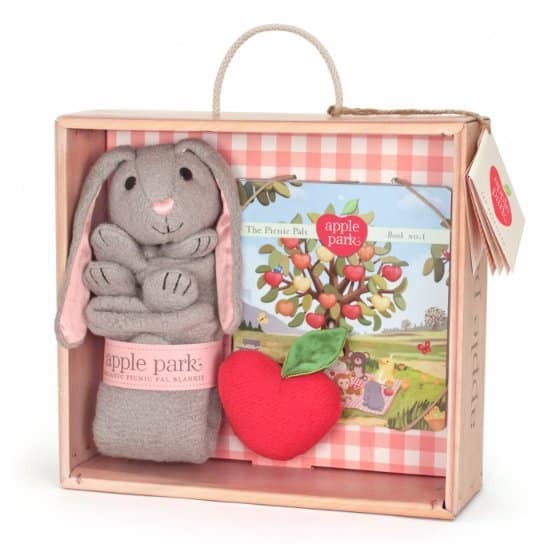 The Apple Park Bunny Blankie, Book, & Rattle gift crate is the perfect soft and snuggly Easter Basket item for your new baby. Made from the absolute softest organic fibers, the Bunny Blankie will surely become your baby's favorite lovey for years to come. It unfolds to 15x12 inches, which is great for a tiny newborn or even a toddler. The apple rattle is the perfect size for tiny hands, and the Picnic Pals book features beautiful and bright illustrations that your baby will love looking at. The story is a delightful tale of the Picnic Pals (including the bunny in this package) and is all about the importance of friendship, a healthy lifestyle, and the environment. 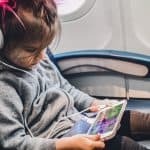 With Apple Park, you can take comfort in knowing that all of their products are made from the purest organic and non-toxic materials, from the organic cotton material, to the natural corn fiber filler, to the non-toxic plastic safety eyes and down to the book and packaging made with soy ink. When putting together sweets for Easter baskets this year, it's important to remember about often deadly nut allergies. Sometimes nut allergies aren't discovered till an unfortunate encounter during holidays filled with sweets. Make sure that your children and their friends are safe by including nut free chocolates. Vermont Nut Free Chocolates are made in small batches the old fashioned way from the finest nut free ingredients in nut free facilities and are guaranteed to be safe for those with nut allergies. So instead of having to thoroughly read ingredient lists, or hunt for just the right bunny chocolates, or Easter basket goodies, you can ensure that your child and their friends are safe by selecting any of the treats from VNFC. 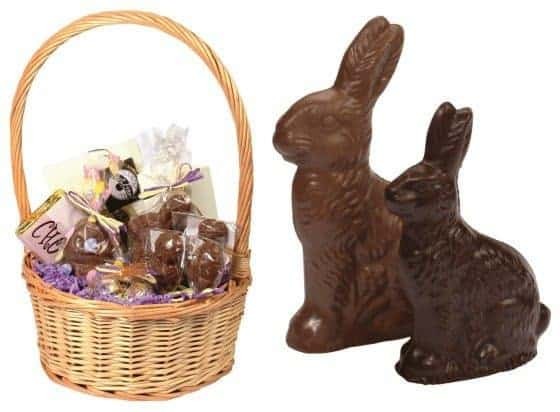 Aside from a variety of Easter theme chocolates and treats, Vermont Nut Free Chocolates also offers full size Easter baskets, totes, boxes and our favorite- Easter pops. 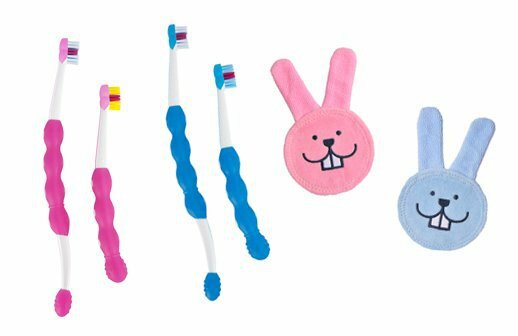 Whether or not you fill your little one's Easter basket with candy, consider adding a fun toothbrush to the mix. Make getting fun toothbrushes as exciting as new toys, and they'll be on their way to healthy habits. For toddlers not-quite-ready to brush their own teeth, check out the Learn to Brush Set by MAM which comes with two brushes. One brush is long enough for you to brush while your little one holds on and helps brush too. When your child is ready to takeover for himself, a second shorter brush with a compact handle is perfect for independent brushing. For babies, check out MAM's Oral Care Rabbit. The rabbit's ears fit over your index finger for easy cleaning of your baby's teeth or gums. The microfiber bunny ears are also great for massaging sensitive gums during teething. Want more creative ideas for inside your kids' Easter baskets? 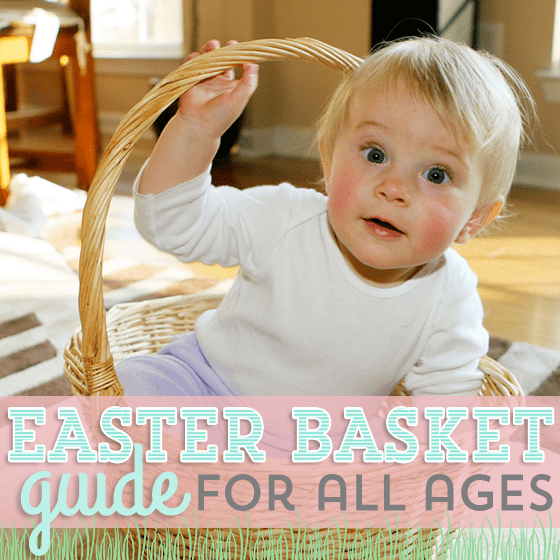 Check out Candy Free Easter Basket Ideas for your Toddler!